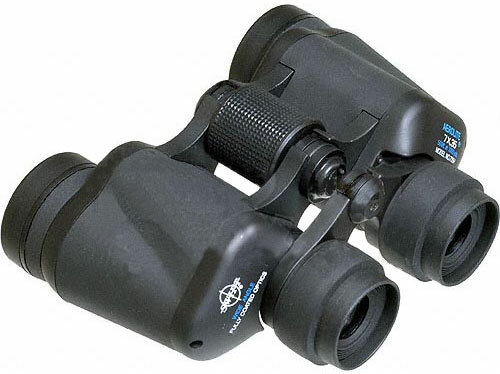 This excellent all purpose binocular, with its wide sweeping field of 499 feet at a thousand yards, allows you to track fast moving objects. The soft rubber casing, which cover the diecast aluminum, and its large central focusing know, make it specially suitable for sports or just plain observing. All air-to-glass surfaces are anti-reflection coated. Eye relief is 8.5mm and interpupillary adjustment is from 58 to 72mm.